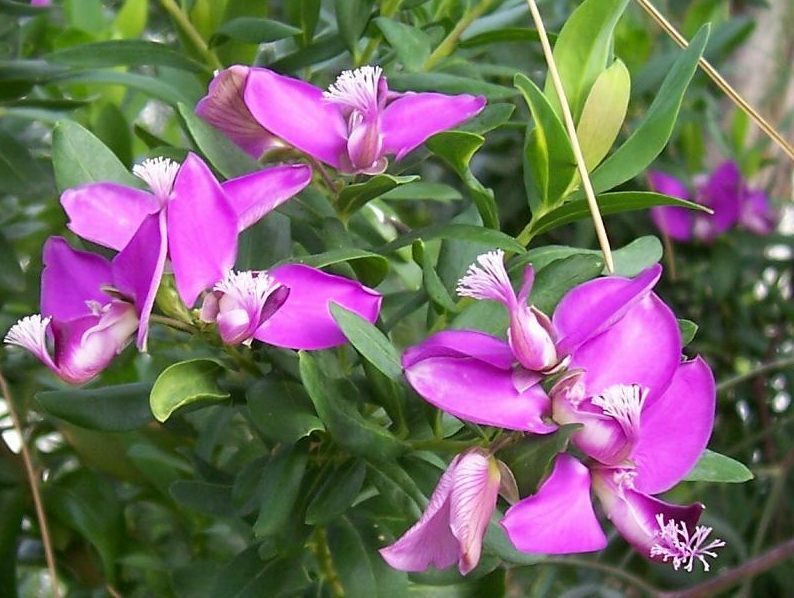 Polygala myrtifolia (myrtle-leaf milkwort) is a shrub (family Polygalaceae) with pink-purple flowers and narrow leaves found in the central coast ranges of California. It is native to South Africa. It favors grasslands, woodlands, and riparian and bottomland habitat. It spreads only by seeds which travel via water, birds, ants and dumped garden waste.